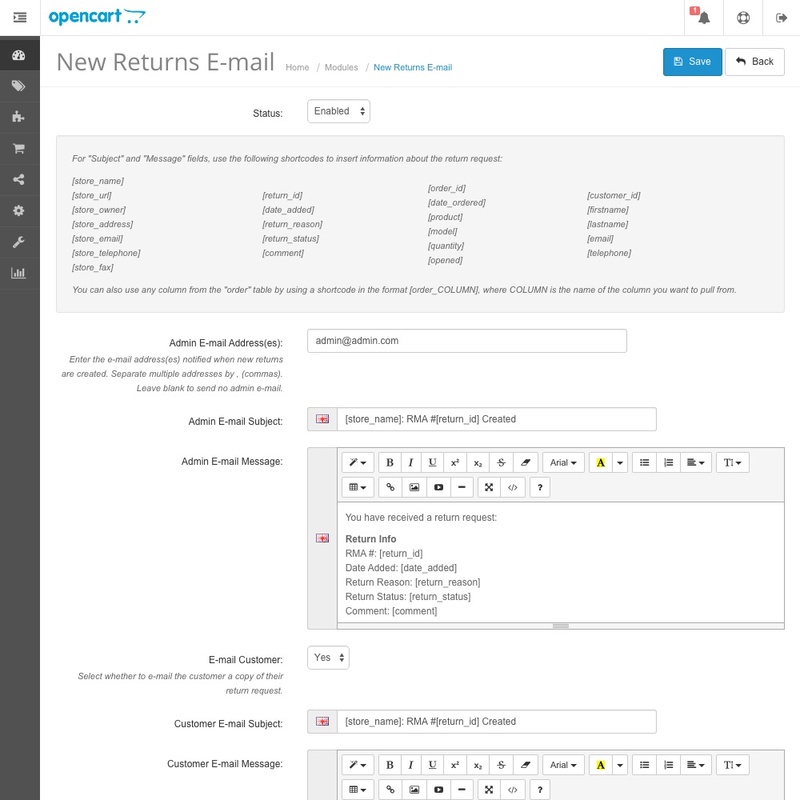 Tired of having to manually check your returns area every day for new return requests? 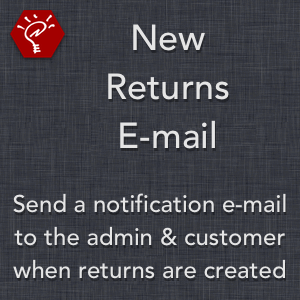 Use this extension to send a notification e-mail to both admin and customer e-mail addresses when a return request is created. Send the notification e-mail to multiple admin e-mail addresses and/or the customer e-mail address. 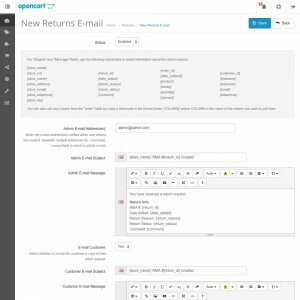 Create a different template for the admin e-mail message and the customer e-mail message. 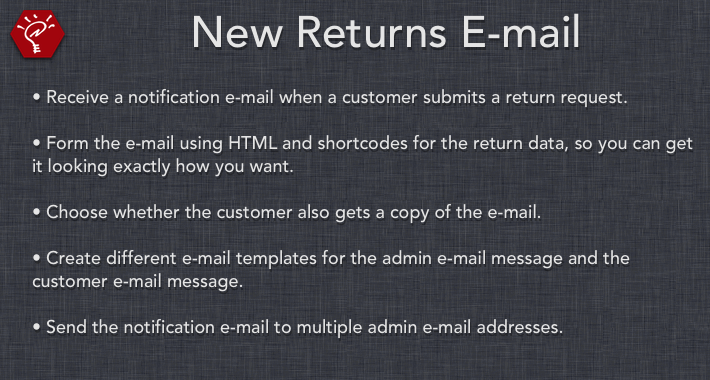 Utilize shortcodes in the templates to insert information about the return request. - Fixed: "E-mail Customer" setting is always set to "Yes"